The University of Messina has published the call for the assignment of n. 40 scholarships to foreign students enrolling to a UniME two-year long Master degree programme (Laurea Magistrale) in the a.y. 2017/2018. Application will be processed only if duly filled and “submitted”. Once the application is submitted it cannot be modified. About the Award: For the purposes of the Call (below), “international students” are those students holding a degree awarded by a foreign University (not Italian) whilst with the term “enrollment” it is considered the registration to the first year of a Master degree programme (Laurea Magistrale). Registration to the second year of a Master degree programme (Laurea Magistrale), transfer from another UniME degree programme or from another University are not considered as enrollment. – a degree awarded by a foreign University recognized as being appropriate to enroll to a Master degree programme (Laurea Magistrale). – One of the following certificate of English language: TOEFL iBT internet based (Test of English as a Foreign Language): 87 -109; ESOL (English for Speakers of Other Languages – Pitman): B2 IESOL Communicator; IELTS (International English Language Testing System – University of Cambridge): 5.5 – 6.5; ISE (Integrated Skill in English – Trinity College London): B2 ISE II; LCCIEB (London Chamber of Commerce & Industry Examinations Board): Level 5; FCE (First Certificate in English – University of Cambridge) (in case of enrollment to a Master degree programme taught in English). In case of no certification, candidate’s language knowledge will be evaluated by a Commission in a conference-call examination. Motivation letter and/or recommendation letter from the University awarding the previous academic position (up to 20 points). Partner Universities cooperating with UniME may select international students for the participation to the present Call. Value of Scholarship: In accordance with the Call, selected candidates will benefit from a 100€ monthly grant, free accommodation in one of the UniME student Halls of Residence and exemption from the payment of tuition fees for the whole duration of the programme. Application deadline is the 22nd of May 2017 at 12:00 am (Italian time). A motivation letter or/and a Reference letter provided by the University/Higher Education Institution (HEI) where the candidate gained the degree/latest qualification. Photocopy of a valid passport. After the first on-line access it is possible to save the application and modify/integrate it in further sessions. Application will be processed only if duly filled and “submitted”. Once the application is submitted it cannot be modified. Important Notes: Please note that in the case of discrepancies between the language versions of the notice, the Italian language version prevails. 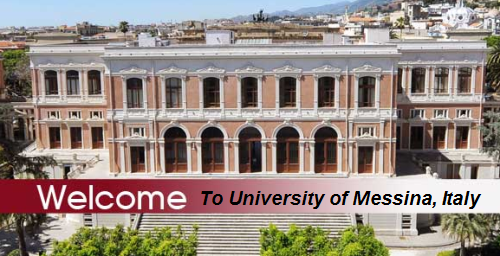 Now that all the information about University of Messina, Fully-Funded Scholarship for International Students has been delivered nicely; talented students who are eager to pursue their Shell Free Tuition/Scholarships/Study in Italy can apply now. Labels: Europe Scholarships, Italy Scholarships, Master's Scholarship, Scholarship.